storm chasing – Real Science at SOEST! HAS MOVED! Storm chasing is a glorified way to describe what my MET628 (Radar Meteorology) class did for three weeks in November. 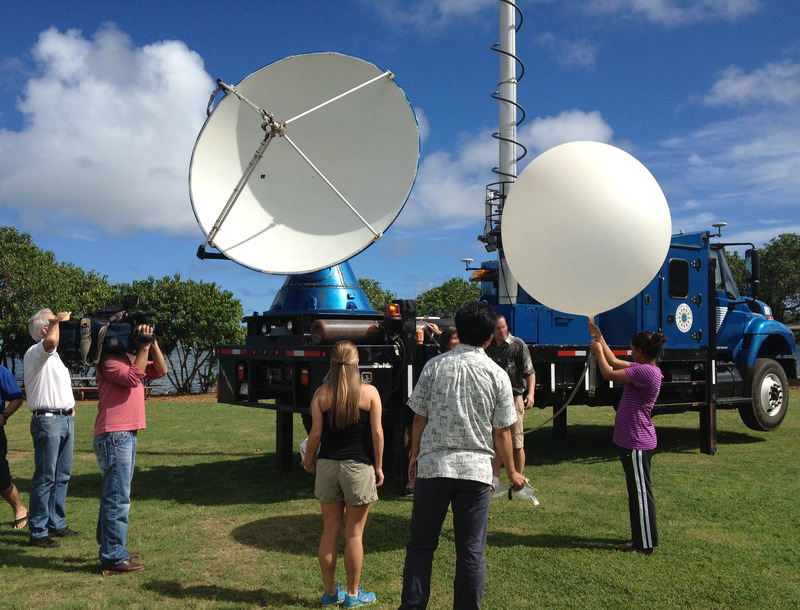 From October 21nd to November 13th 2013, the Doppler on Wheels (DOW) visited O‘ahu for the very first time. The DOW is a mobile weather radar, an active remote sensing instrument, which emits radio waves to detect rain and clouds at different ranges. The permanent radars typically used to monitor weather on O‘ahu are located on Moloka‘i and Kaua‘i, so this was a unique opportunity to look at O‘ahu weather- up close and personal. 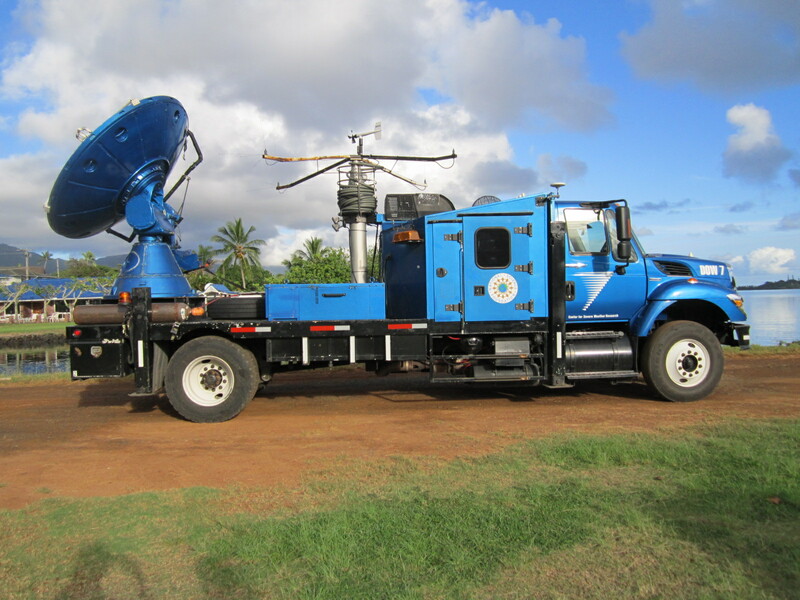 The Hawaii Educational Radar Opportunity field project (HERO) was part of a National Science Foundation Educational Deployment of the DOW radar. It was shipped all the way from Boulder, Colorado to Honolulu Harbor. When it was finally unloaded from the ship, I drove down to the harbor with my professor and another student. We were waiting in the hot dusty parking lot that would be its home base for the next few weeks, when it pulled up to the gate. The giant blue semi-truck did not have a trailer on the back; instead it had an antenna, bigger than me. It would get a lot of funny looks over the course of the project, as we drove it all around the island. Each morning the class, as well as some undergraduates and National Weather Service employees, would meet for a forecast briefing. If there was so much as a chance for mauka or trade showers, we deployed. 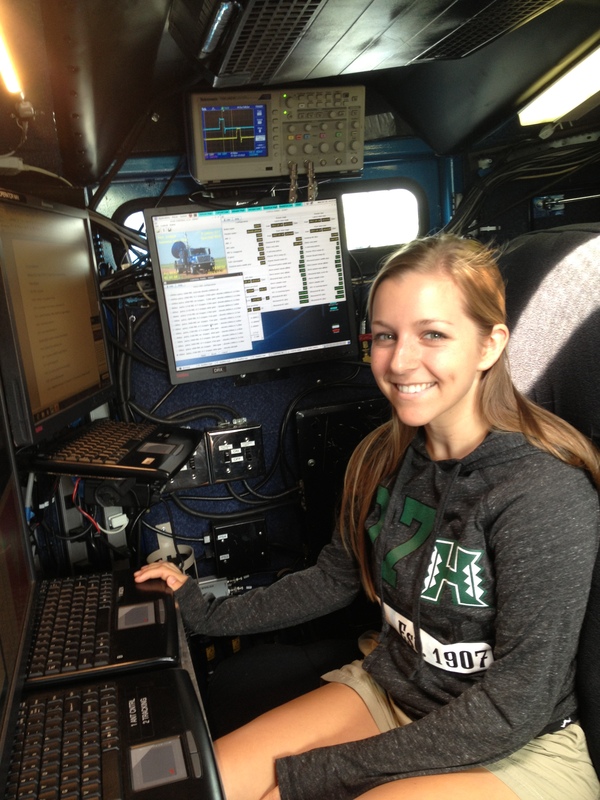 This was my first experience with hands-on fieldwork, and sitting in the operator’s chair, surrounded by all of the computers and switches, made everything feel real and exciting. The DOW is usually chasing tornadoes in the Great Plains (it has been featured in the Discovery Channel’s Storm Chasers series). Hawai‘i weather seems tame in comparison, but we were blessed with a variety of interesting weather. The downsides of HERO included the very early mornings, the constant sound of the transmitter, and watching computer screens for hours on end. There was also the frequent disappointment when a storm cell died or moved out of range. But I can’t complain. I got my five seconds of fame when Meteorologist Jennifer Robbins interviewed me for a Hawaii News Now segment (I even got a free surfboard locker when my apartment supervisor saw me on TV!) I had some exciting moments, like trying to launch an uncooperative weather balloon between heavy tropical downpours. I got to see hundreds of children’s’ faces light up as they explored the DOW at a community outreach event, the SOEST Open House. The real climax of HERO came as the final week was drawing to a close. A cold front was forecast to pass through the islands, bringing convective and windy weather. The forecast group noted a cold pool aloft, which meant an even greater chance for instability and thunderstorms. The only problem was timing. The timing of the frontal passage could have been any time from Saturday night to Sunday morning. To be sure we caught it, three consecutive groups were assigned to work through the night. I was happy to be in the first group because we experienced a lot of pre-frontal action at the Wahiawa site. Parked on the side of a highway, we were able to see a large band of heavy showers approach from the north, which eventually reached the site. Later that night there was heavy rain all around the island and even some flooding in town. Most of that night consisted of four graduate students and the technician crammed inside the truck to keep dry. My favorite moment was when the second team took over at 2 AM. As I emerged from the truck, after my 8-hour shift, I was surprised to see 15 other students there, huddling under umbrellas and open car trunks. Nobody had wanted to miss out on the excitement. So there we stood, 15 meteorology students on the side of a road surrounded by pineapple fields at 2 AM on a Sunday morning… for fun! Surprisingly we got no inquisitive visits from the police or locals, as we had many times before. Our deployment sites were often at beach parks, which put us in clear view of the public. People would approach us in the DOW or during a balloon launch to ask what we were doing. Most showed great interest and support, although some were suspicious. One lady even asked us not to scan her because she feared we could see through her clothes! 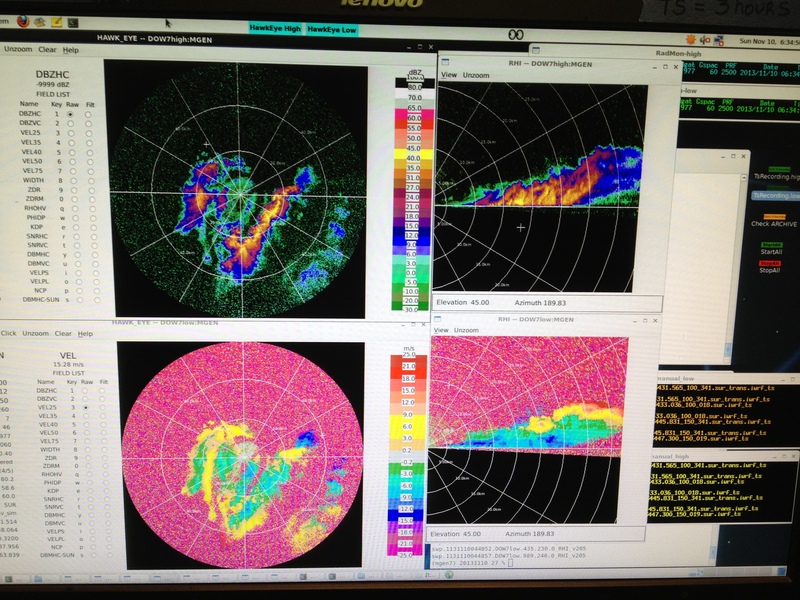 Weather radars are not a common sight here on O‘ahu, but we hope to change that. The data allowed for a detailed and never-before-seen view of how rain forms around the islands. I was able to watch a small trade wind cumulus cloud form and develop all the way to the end of its life cycle, completely captured by the radar. Most importantly, this project got a bunch of students and meteorologists together to take part in hands-on weather data collection. Through collaboration and operating the radar, I learned more in three weeks than I could have in a whole semester in the classroom. 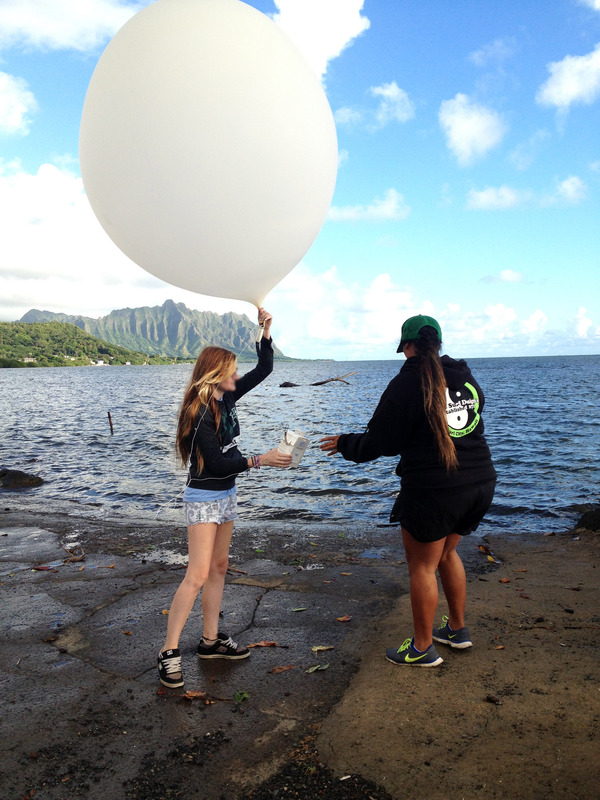 Shannon McElhinney is a 2nd year Masters student in the Department of Meteorology at UH Manoa. 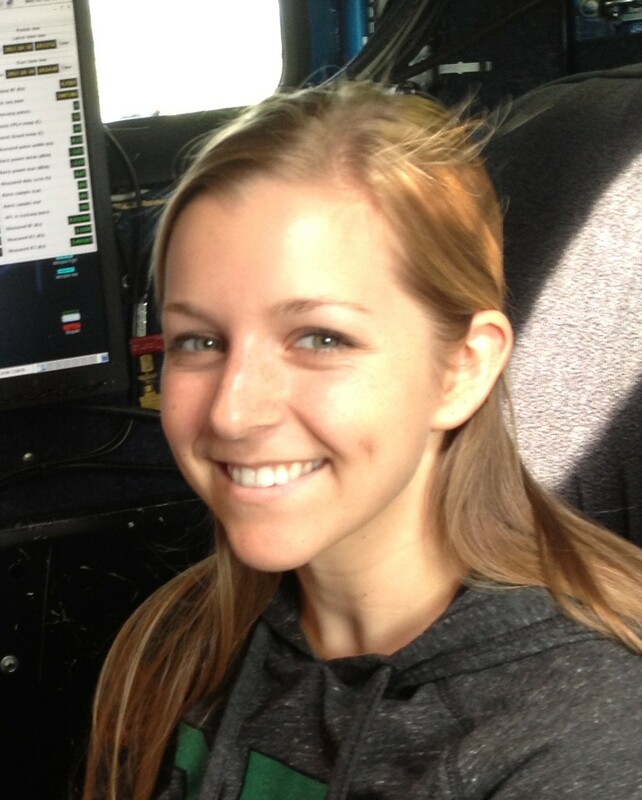 Her current research uses models and observations, including airborne Doppler radar, to study the Hurricane boundary layer. She also enjoys teaching some meteorology fundamentals to MET101 lab students.